The fifth-generation (5G) mobile communication system is expecting to support users with diverse data rate requirements by densely deploying small cells. The users attached with small cells make use of the same frequency band as the existing macro cell users, that causes severe co-channel interference and degrades the performance. 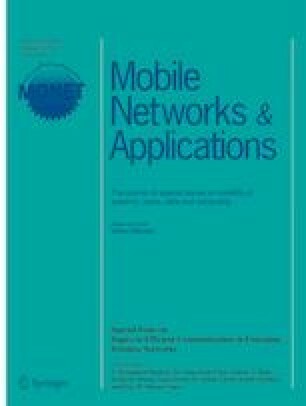 To overcome this challenge, we propose a game theoretical framework for the optimal uplink power allocation for small cells, i.e., femtocell deployed underlaid macrocell. In this paper, femtocell users play a non-cooperative game to choose the optimal power to maximize the sum-rate of the system. Furthermore, an iterative quality-of-service (QoS)-aware game theory based power control (QoS-GTPC) scheme is proposed to optimize the femtocell user power taking into account macrocell user QoS requirements. Simulation results verify that the proposed QoS-GTPC scheme significantly improves the sum-rate and reduces outage and interference, as compared with conventional power control scheme. The work of L. D. Nguyen and D.-B. Ha was supported by a Research Environment Links grant, ID 339568416, under the Newton Programme Vietnam partnership. The grant is funded by the UK Department of Business, Energy and Industrial Strategy (BEIS) and delivered by the British Council. For further information, please visit www.newtonfund.ac.uk./ and also supported by Start Up Research Grant (SRGP) Project No. 1137 from Higher Education Commission (HEC) of Pakistan.